A common frustration for those shopping for lab coats is that the garment is often ill-fitting for one of two reasons: either the size options are not adequate to properly fit specific body types, or the sizing is inconsistent within a brand. These are both frustrating situations, and sometimes your favorite brand of lab coat manufacturer will update the fit of their coats in a way that might affect the sizing options. The best way to avoid this situation is to always check on the sizing charts and take your own measurements: this will ensure the best fit possible for your body type. 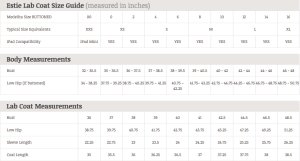 It’s also important to recognize that even though sizing adjustments can be a bit of a nuisance when you’re trying to find your new size of lab coat, these changes are almost always the result of the manufacturer trying to improve the garment so that it better fits your needs. This short-term annoyance will actually lead to a better fitting lab coat in the long term. 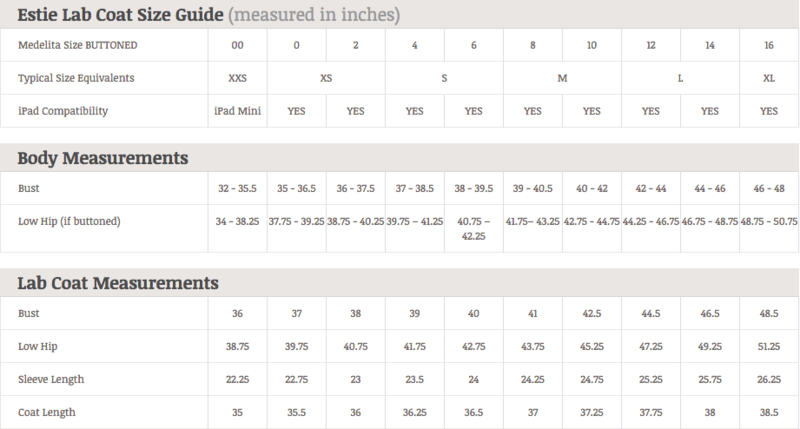 Some lab coat companies also offer options for those who are still not sure of their size even after looking at sizing charts. For example, lab coat and scrubs company Medelita offers an At-Home Try On Program that allows customers to buy a few sizes of lab coats and send back the ones that don’t fit – free shipping both ways. This is the kind of convenience that crazy-busy medical professionals need! This entry was posted in Lab Coats and tagged Lab Coat Sizing, lab coats on May 3, 2016 by Ariel Jacoby.